Caves Beach derives its name from the numerous caves that have formed over time into the headland at the southern end of the beach. 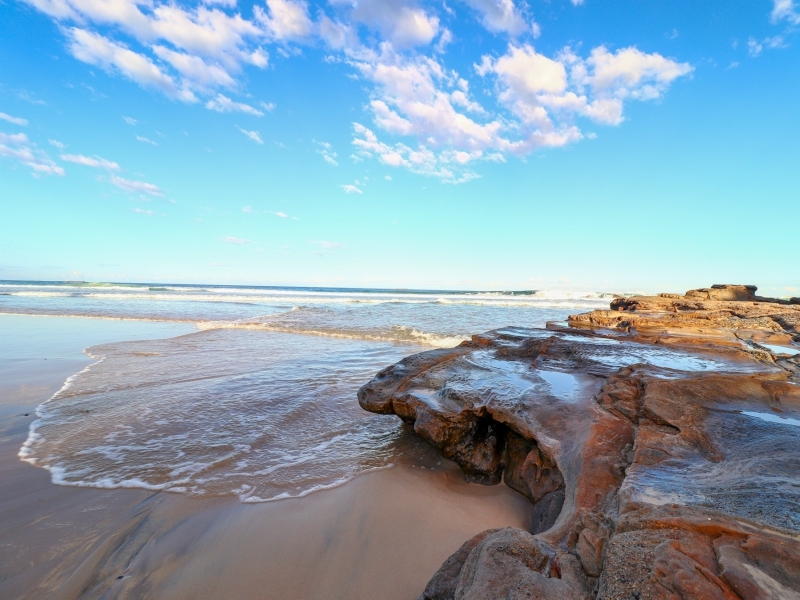 The Beach itself extends about 300 metres north to the sandy area known as Hams Beach. The dedicated members of the local surf life saving club ensure that Caves Beach is patrolled in the warmer months of the year. 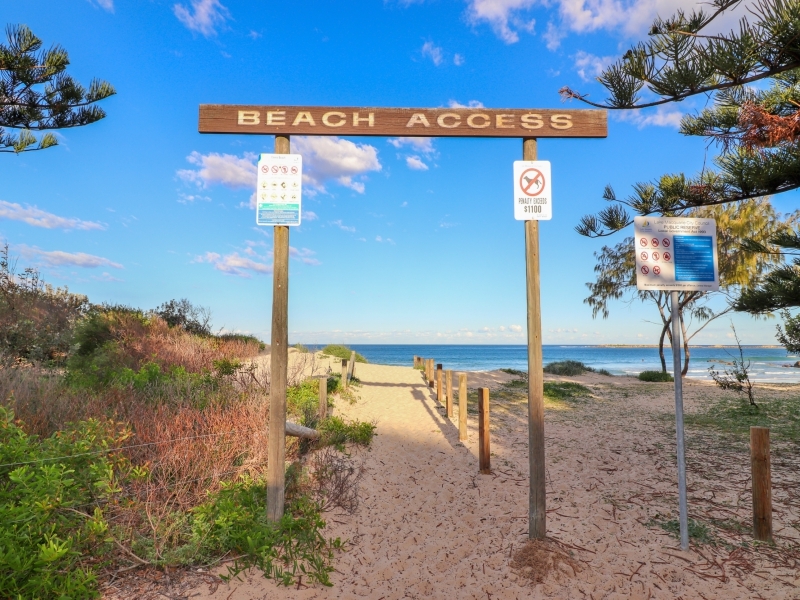 The area was originally known as "The Plains", "The Plains Beach" and then "Caves Beach". Then in the 1960s it was renamed after a Swansea Hotel -keeper Mr. Mawson, but residents objected and in 1965 the name Caves Beach was returned. Mr. Mawson became a part of local history as he began a mining venture that did not develop. The breakwater at Spoons Rock is a reminder of this. ... Some locals still refer to the local pub as "the Mawson". 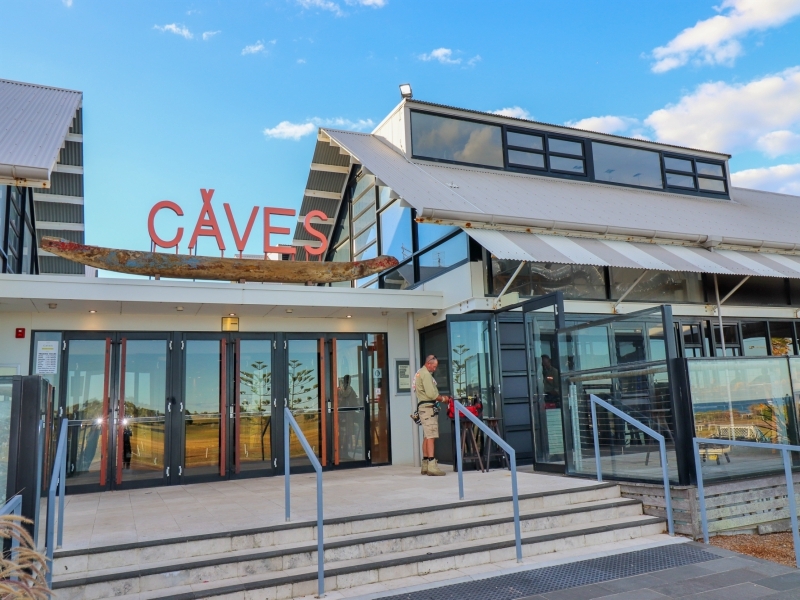 Swansea is located only a short drive away and provides take-away shops and a supermarket as well as a waterfront restaurant, and there are plenty of other local areas to explore. The historic mining village of Catherine Hill Bay is like visiting an era from the past, while the vineyards of the Hunter Valley make a wonderful day trip, or spend the day relaxing on a boat on the Lake itself. 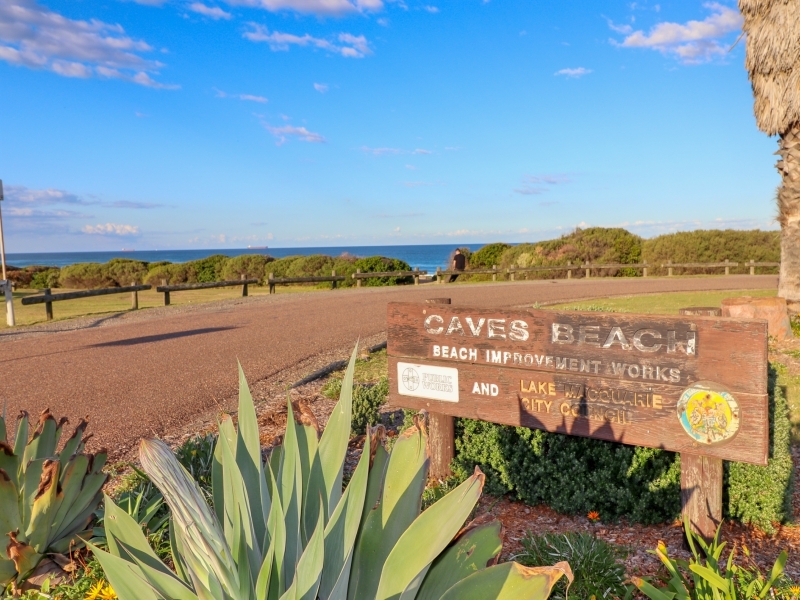 Fishing, surfing and local water sports are popular activities around Caves Beach due to the abundance of beaches and the lake, all within a short driving distance. Take a walk on the many walking trails or just sit back, have a BBQ, relax and soak up the sea air. FREE WiFi. Uniquely designed, this modern air-conditioned home is welcoming from the moment you step inside. With 4 storeys, there is plenty of space for large groups of family or friends. 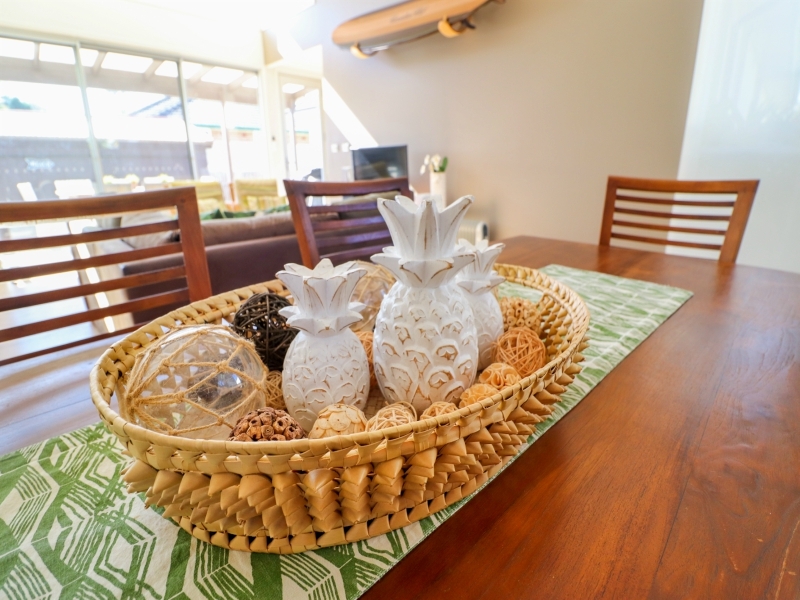 Located in a quiet neighbourhood less than 500m from the sandy shores of the unique Caves Beach with access to the resort pool, this holiday home boosts stunning views and the ultimate getaway experience for those looking to relax, enjoy the rolling surf and sandy beaches. The large and open living and dining is on the 3rd floor. 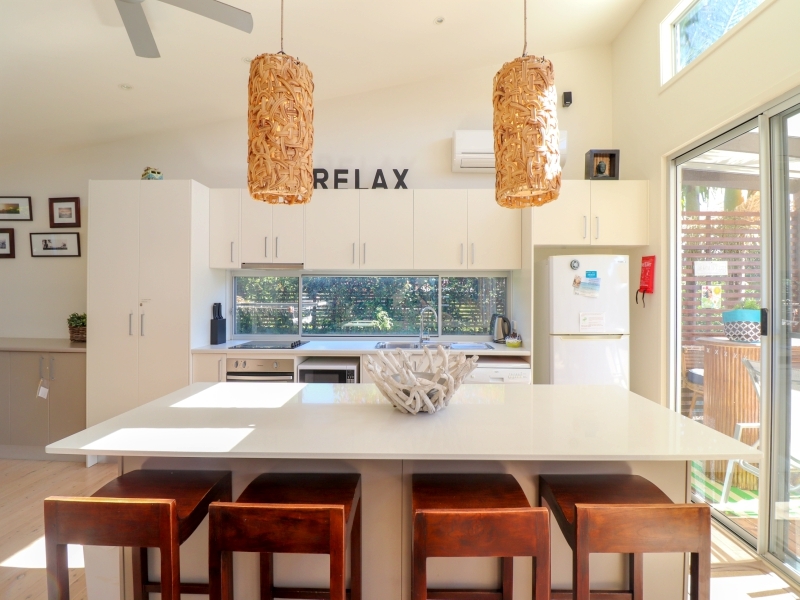 With polished stone tiles, a beautiful fully equipped gourmet kitchen with 6-burner gas stove, coffee machine and large dining table make it the perfect area to enjoy a meal and the ocean breeze. The lounge area boosts comfortable seating in a coastal theme with a large flatscreen TV. 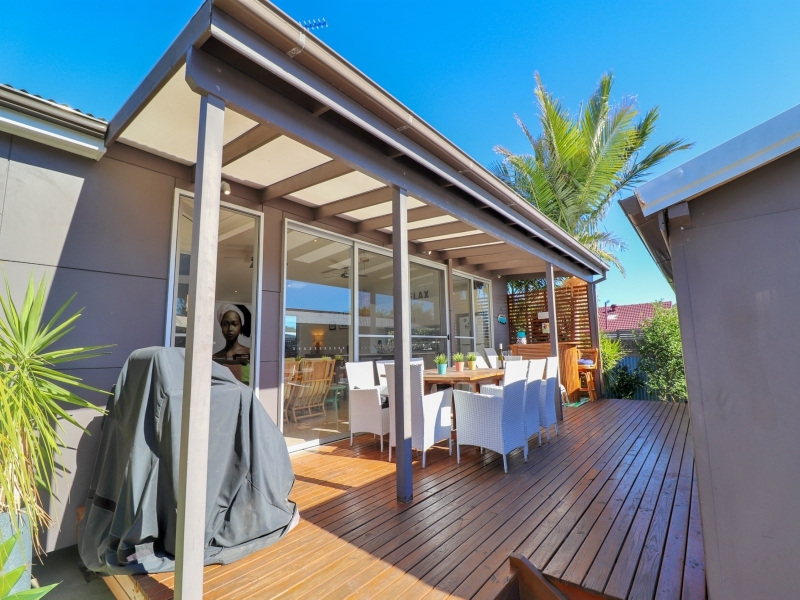 This opens out onto a large verandah with comfortable seating and a BBQ; perfect to enjoy the afternoon air with a glass of wine or watch the sun rise over the horizon. The top storey of the house is the perfect room to read a book in the comfortable arm chairs, open the windows to let the breeze, escape and soak in the crystal ocean views. 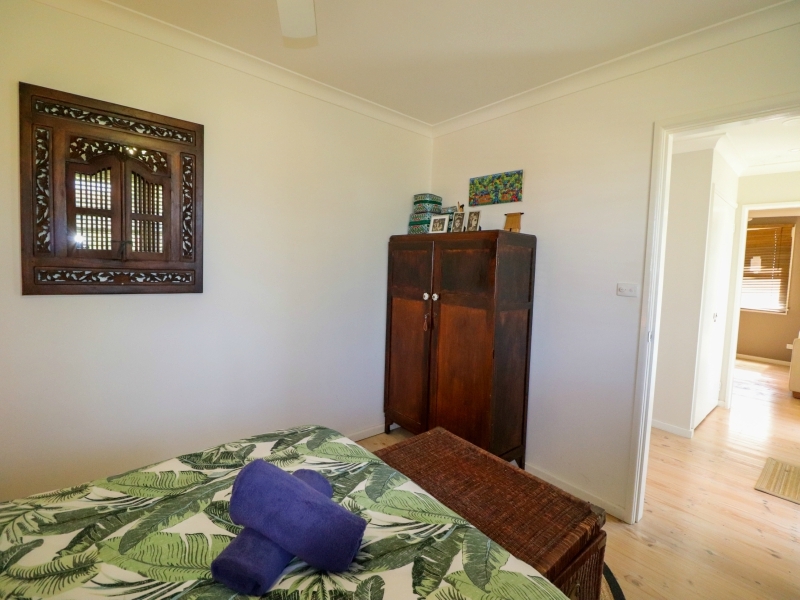 The master bedroom features a king size bed with comfortable bedding, television, iPod dock and generous en-suite with double vanity. There is also a large desk for those working away from home. 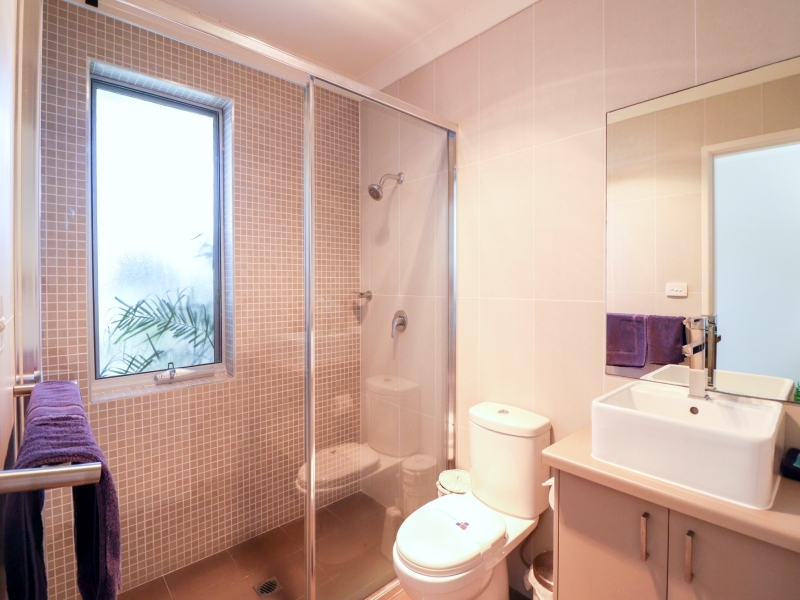 The ground entry floor has a bathroom with large shower and vanity with a separate toilet as well as a laundry equipped with washing machine and dryer. This has three bedrooms. 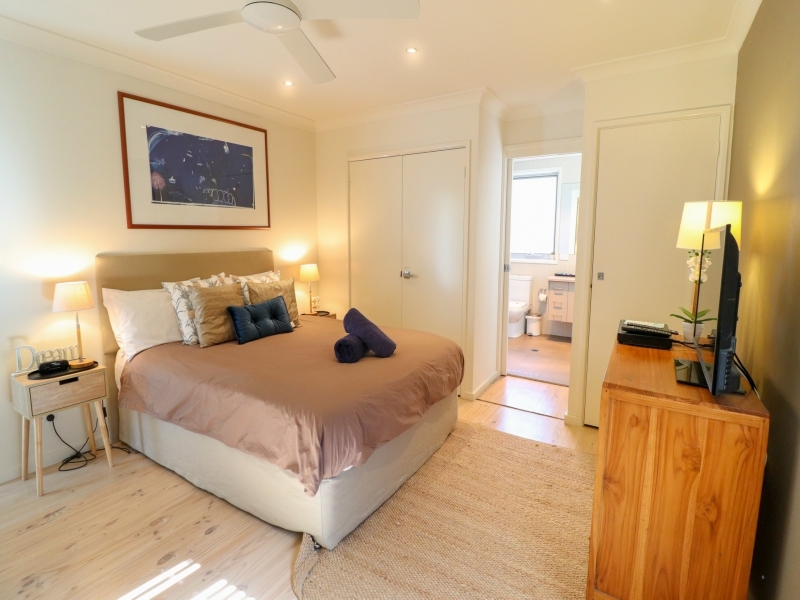 The queen and twin single bedrooms have built ins with flat screens in each room. 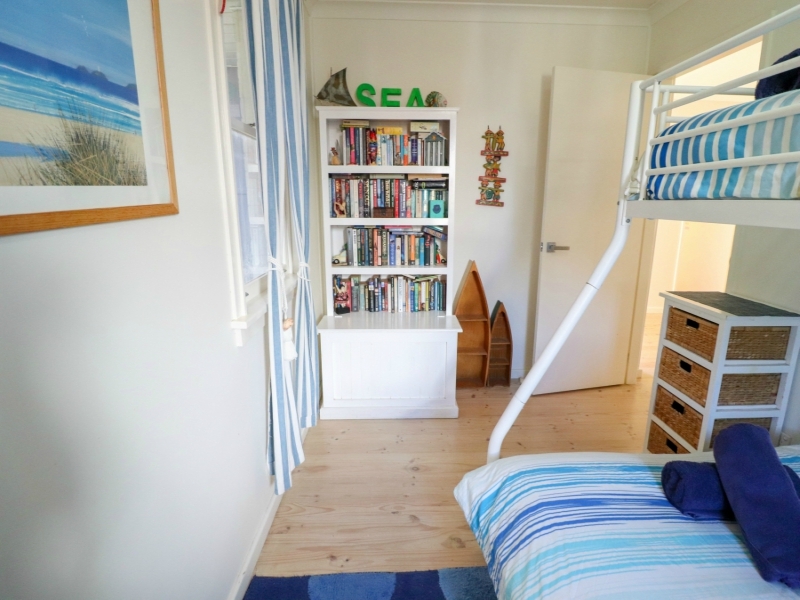 There is also a surf theme room with a TriBunk perfect for the kids. 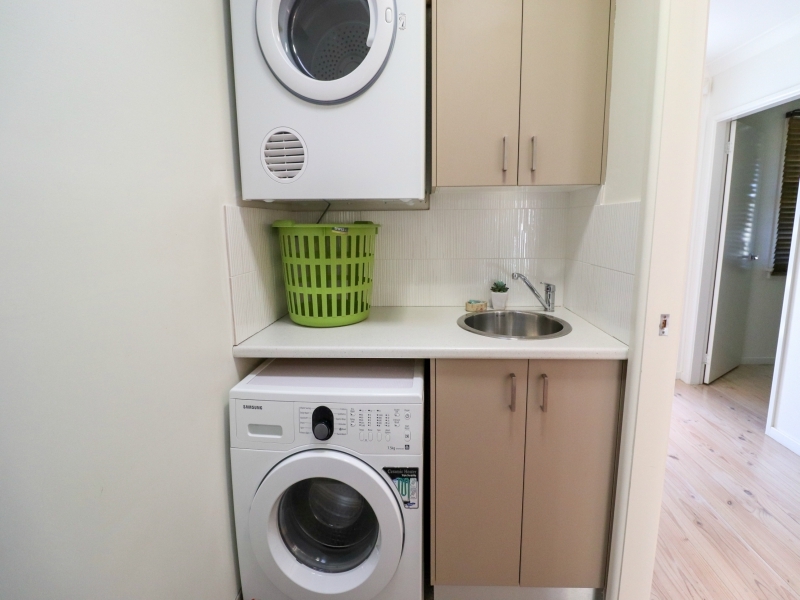 The bottom storey has a queen bed, coffee machine and sink station, separate toilet and it's own living area. 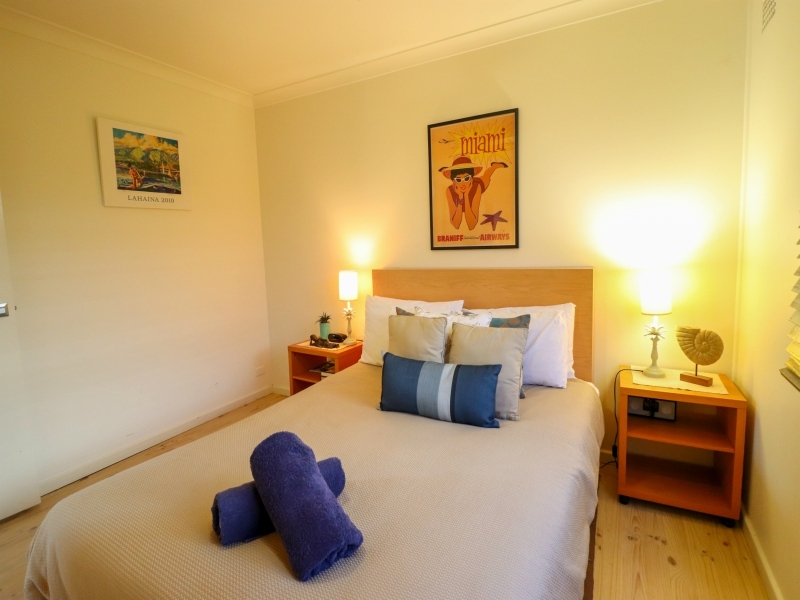 This retreat has a split air conditioner and smart TV with comfortable lounge and bedding. Located right near Caves Coastal Bar you can walk just down the street to enjoy the live entertainment and fine dining restaurant. Beachside Oasis is also located just 100m from a cafe and local grocery store making Beachside Oasis the ultimate location for convenience and both both and resort holiday relaxation. 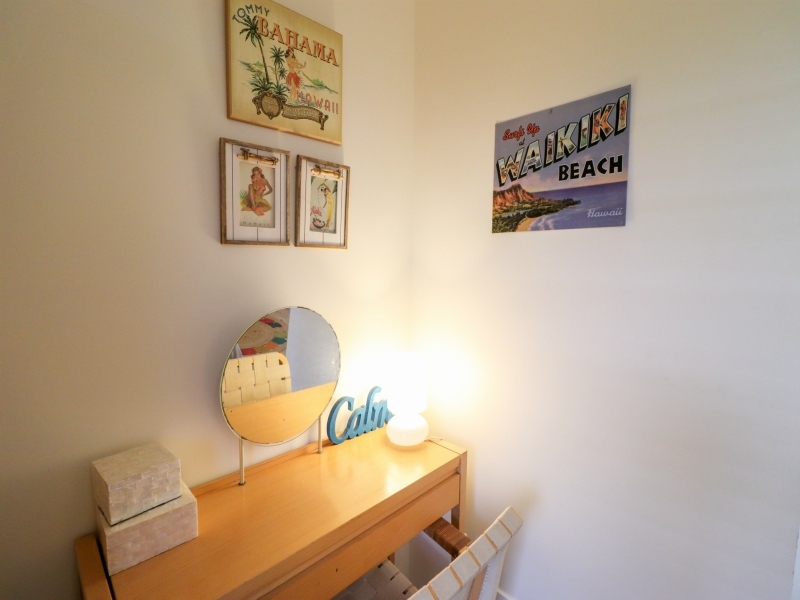 Beachside Oasis has all the luxuries of a modern holiday home, and more. FREE WiFi. 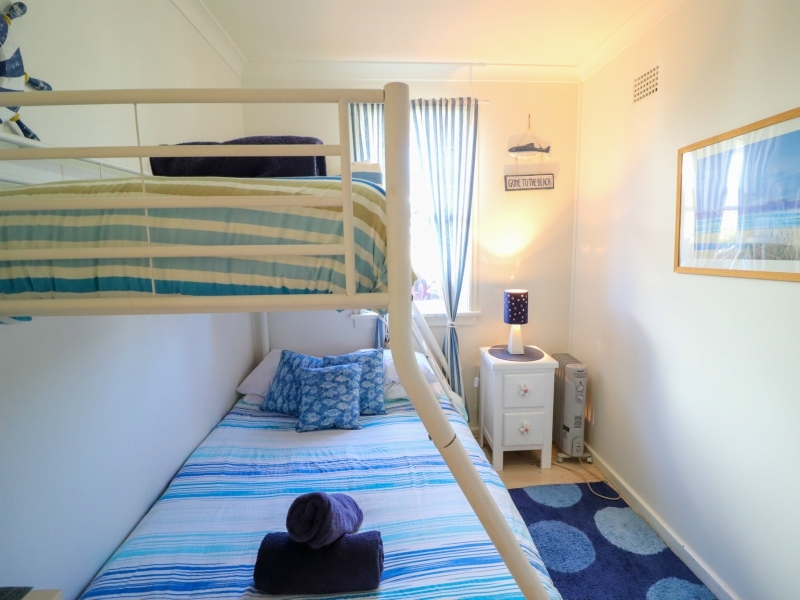 Relax, Unwind and Escape to "Ripples by the sea" ....whether you're into whale watching, surfing or simply exploring the caves, this is the place for you! Ripples by the sea is located literally opposite the patrolled section of the beach and next to the amazing "caves" at Caves Beach. The house has uninterrupted sweeping ocean views on both levels and is only seconds walk to the beach. 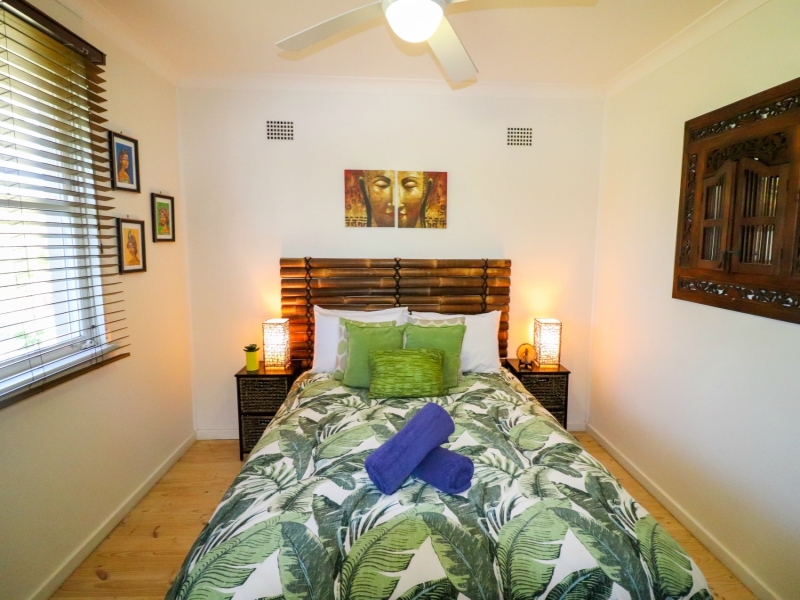 This 2 story house has been recently renovated and has modern comfortable furnishings. The house has 6 bedrooms, 3 bathrooms, 2 lounges, 2 kitchens and is suitable for couples or very large families (13 adults maximum). 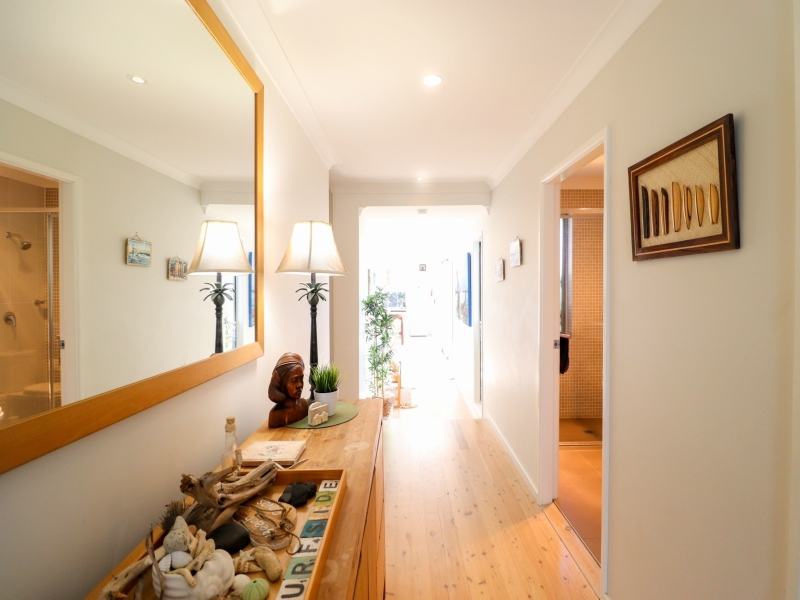 The upper air conditioned level has an open plan living / dining area with new timber floors, Flat screen TV, DVD/CD player and docking station leading to a very large enclosed balcony/winter garden (perfect for winter!) at the front with uninterrupted 180 degree ocean views. 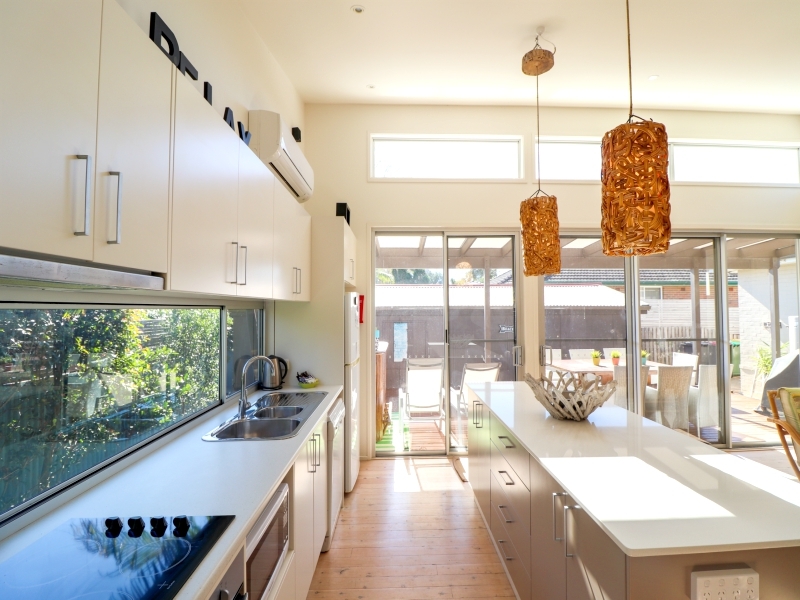 The modern renovated kitchen has a dishwasher, microwave and stainless steel oven/cooktop. 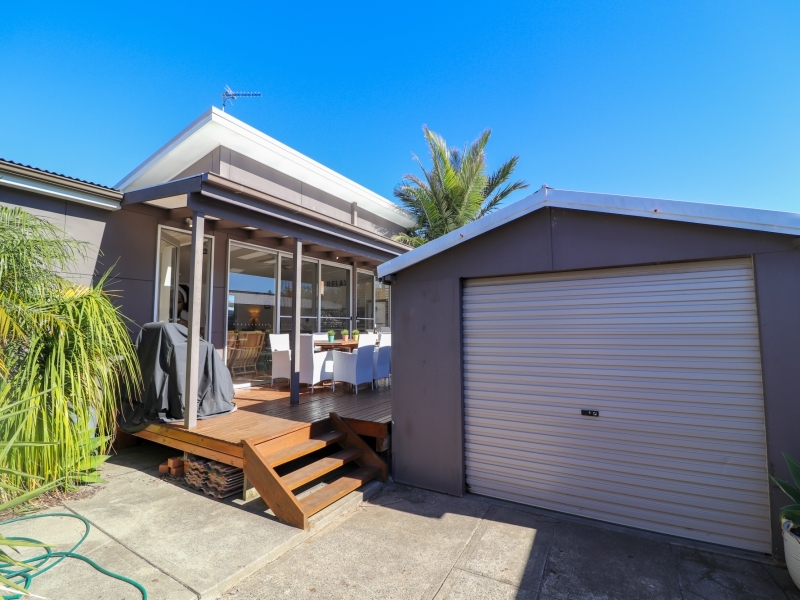 It is a well equipped kitchen with all you need to have a great night in, have a barbie or you can simply order take out from a great range of restaurants which are a short 5min drive away in Caves beach and Swansea! 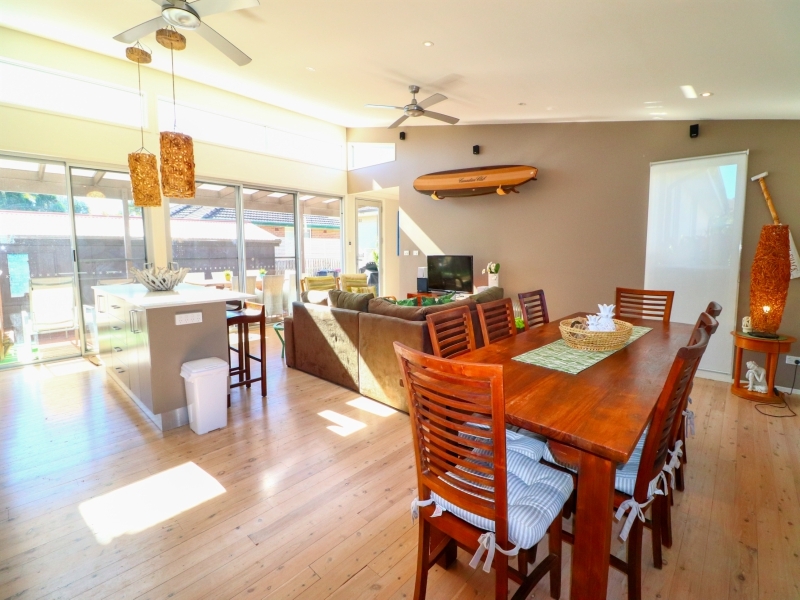 The lower air conditioned level has also an open plan living / dining area with new timber floors with sensational uninterrupted ocean views. The lower level is complete with 2 bedrooms, 1 bathroom & a big enclosed outdoor living area. Both levels of the home have direct access to the backyard, in-ground pool & rear garage. Bring your fur baby with you to dog friendly home, additional charges apply. FREE WiFi. 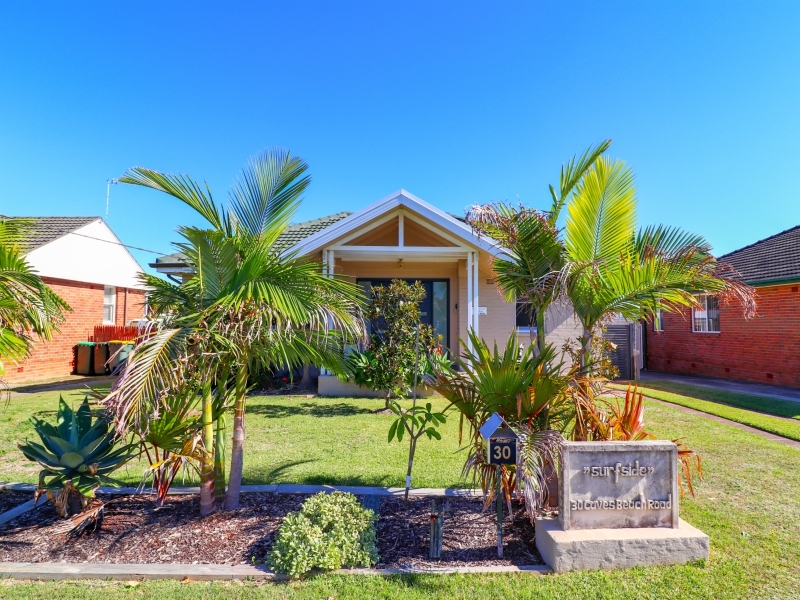 Straight across from the Beach, this 3 level Villa occupies one of the most enviable positions at Caves Beach, overlooking the foreshores and providing panoramic ocean views. 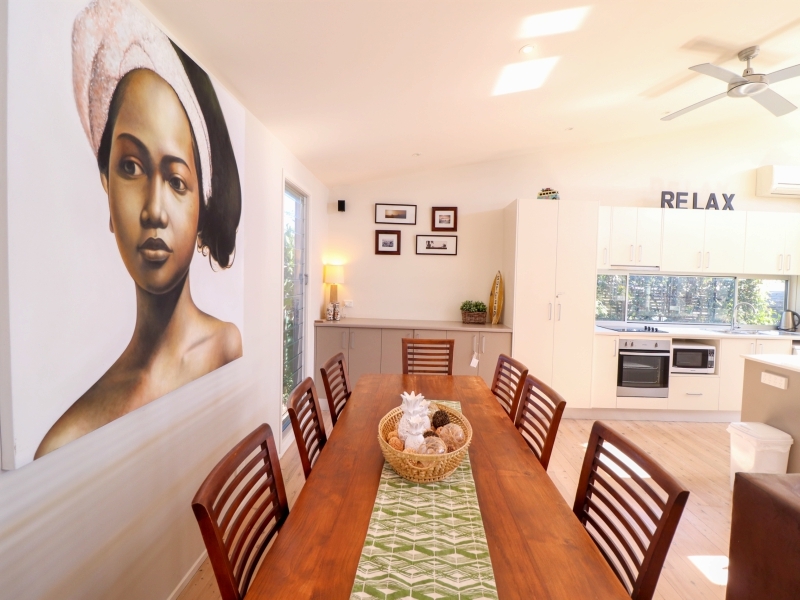 The Townhouse provides large, open plan living areas plus a family room off the kitchen, 3 large flat screen TVs, DVD player, docking station and the roomy kitchen would delight any chef with ceramic cook top stove, oven, dishwasher and a full size family size fridge. 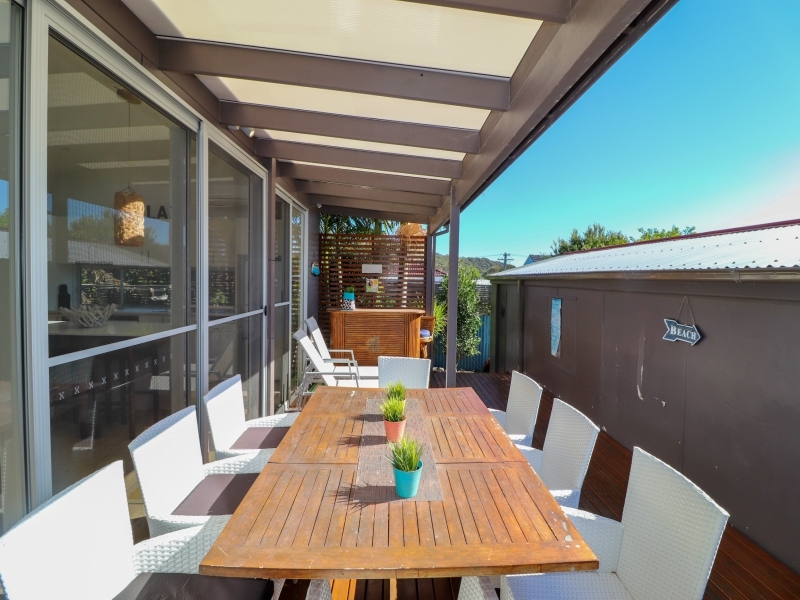 Step out from the family room to a private deck area with BBQ and outdoor dining furniture. The Scandinavian inspired dining suite sits between the kitchen and lving areas and is the hub of the home. … Your choice, dine indoors or dine al fresco. The main living area opens out onto a wide balcony with casual living furniture and looks out over the breathtaking Pacific Ocean. 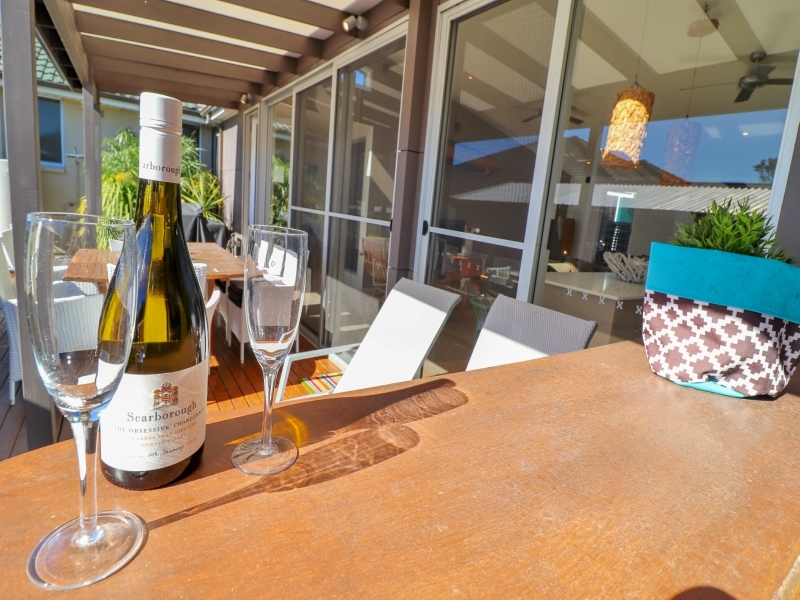 … the perfect spot to enjoy a glass of wine at the end of a relaxing day on the beach. 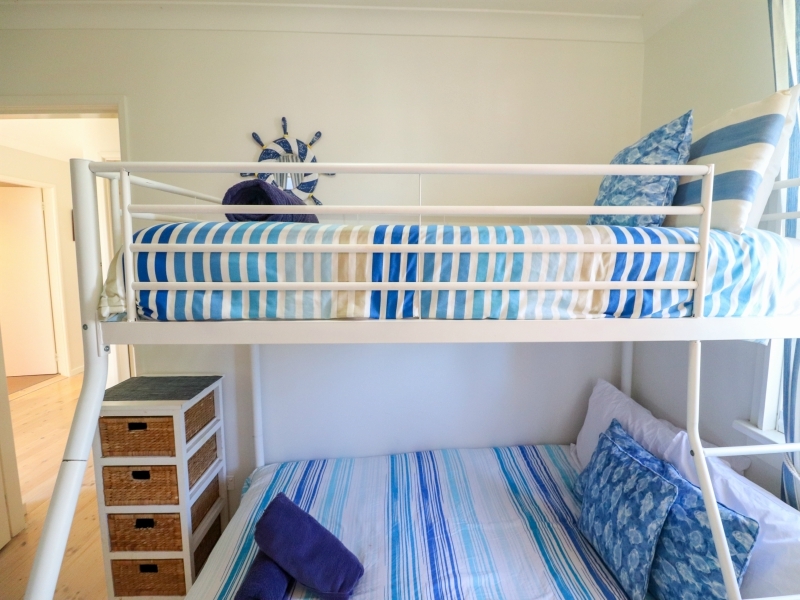 Accommodating up to 6 people on the upper level, the master bedroom has its own ensuite bathroom, walk-in robes and large TV and balcony overlooking the ocean. 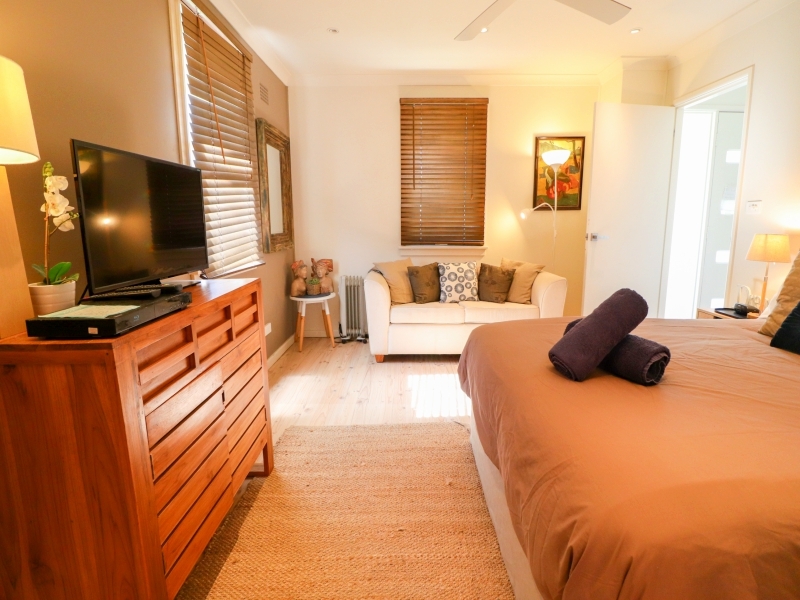 The 2nd and 3rd bedrooms each have 2 king single beds that can be converted to king doubles on request. 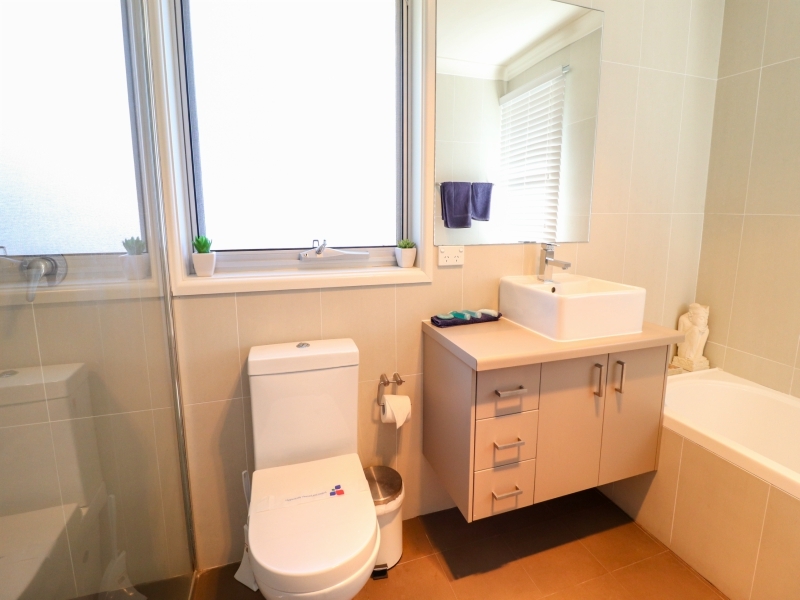 There is a second bathroom with bath and shower on this level, together with a laundry area with washing machine and clothes dryer whilst there is a third toilet on the ground level. The home also has its own garage. 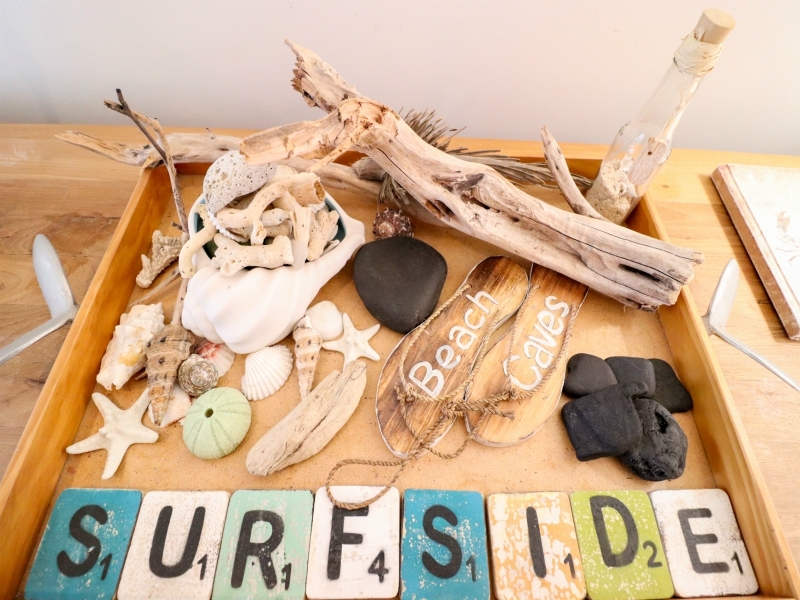 So, if you enjoy the good things in life, then look no further than Sunrise Shores for your Beachside Holiday.